The most anticipated gift bag of the year, Barneys Love Yourself 2018, is live now! Barneys New York is having a stellar edit of Barneys Beauty Bag going on now through March 10th. With any $200 purchase on Beauty or Men’s grooming you’ll receive a bag filled with over 23 luxury products and samples. Because this is such a luxury gift the price is accordingly higher. This goody bag is only available twice a year, don’t miss out! There are two bag options: men and women. There’s no better time than now to treat yourself to something fresh in the world of skincare, makeup, and fragrance. The Love Yourself event is back with new tie-dyed beauty bags filled with our favorite of-the-moment product. *Sample contents may vary from those pictured and listed. * similar to women’s gift bag. +Sample contents may vary from those pictured and listed. Free complimentary shipping on any US order. Plus, you can grab brand specific bonuses as step up gifts on top of your sample bag. See all 24 available gift with purchase offers at Barneys New York here (automatically added – no code needed). From March 1 – 31, Buy what you love, and earn 2X the points towards your My Barneys Bag Rewards Card for every dollar spent on your highest spend day in March. In addition, PERFECT LOOK For every $2,000 you spend on women’s clothing, jewelry, accessories or shoes, receive a $350 gift card. Tempted to treat yourself? 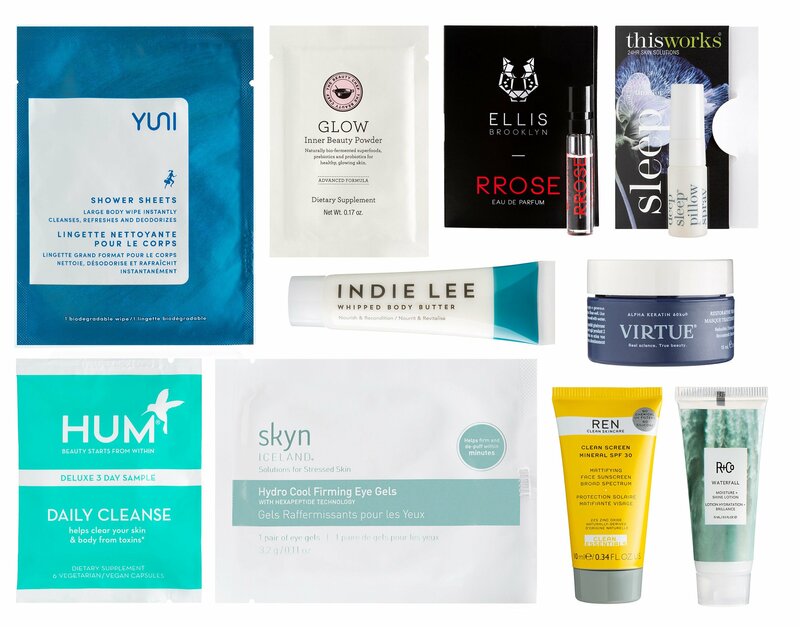 In case you need a final nudge to show yourself some well-deserved love, I’ve listed some irrefutable beauty brands at Barneys New York here. Hi, thanks for the reminder about Barney’s gift. Spent more money than I needed to. 😉 There is discount code from Dealmoon for Barney’s for 10% off – dealmoon10, exp. 03.10. The total should be $200 before coupon. I got it t work in Chrome incognito mode. A couple of others: Nordstrom – dealmoon for a bag with $65 beauty (heavy packets, but a few deluxe samples). Nordstrom also now has a free 24 piece beauty bag with $125 purchase without coupon, with $150 – extra 2 piece Clarins gift. Sak’s offers 10% off coupon DMOON18, through 03.07, and they still have the men’s bag free bag with $150 purchase. Hope you can post this. WOW Yelena! Thanks for sharing department store beauty deals with us.